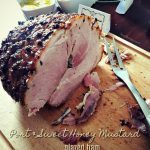 I was asked to cater for the office Christmas party and I came up with a list of foods, one of which was this amazing glazed ham with port and sweet mustard. Took me a while but I got there in the end. Happy days, I learned a lot and the results were very encouraging. It has been a full week (and more!) since my last post. 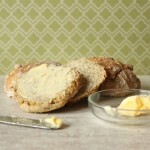 But I have been fiddling around with my baking behind the scenes, and today I present these lovely Quick-rise Soda Breads; just in time for St Patrick’s day … and Easter. Not a fan of sweet pancakes? 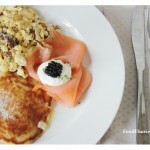 Then have plain ones instead, with a nice neutral flavour accompanied by some eggs and smoked salmon. Indulge in a spot of champagne while you’re at it, perhaps? 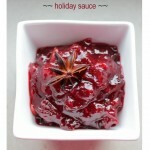 Here is a wonderful homemade cranberry sauce that is NOT fresh from the tin. This is super easy and super delicious … great with poultry of any kind, or serve it on buttery toast for a special Christmas day brunch. In my case, I served it up with chicken balls for Super Bowl weekend. Bite-sized pieces of food is where I like to play. It may be a tad time consuming to make little nibblies x50, but I love presenting them. 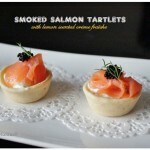 This recipe is a wonderful way to incorporate fish into your hors d’oeuvres menu. It’s light, it’s fresh and has a bit of zing coming from the lemony notes. For years I wondered how people put a roast dinner on the table every weekend for that family feast. I had no idea where to start and I always had the impression that doing a roast was one of the most difficult meals ever. But I have now discovered it was simply a case of a lack of confidence. 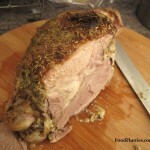 If you follow this recipe, you will also find out how to get a succulent roast lamb on your table, that looks every inch as fantastic as it tastes. Perfect for festive entertaining too!